Millions of people play Green Card Lottery every year. The perspective of leaving and residing in the USA is of interest to so many people. And it is very important to note that Green Card Lottery is played not only by poor inhabitants of Angola or Burma, but also by well-off citizens from different countries of the world. However, the same lottery participants are well aware that the chance to win a Green Card is 50/50. Meanwhile, one may play the lottery unsuccessfully for years. In such circumstances, it would be logical to assume that availability of more verified, put in other words, more guaranteed ways of obtaining a Green Card would be very much-in-demand. One of such options is EB5 program. But in reality, the situation with EB5 program is completely different. EB5 program is not at all popular. Someone might say that the problem is the cost of participating in the program. Maybe it is so. However, I think that this is only one of the reasons, and not the main one. It is necessary to start with the fact that EB5 program itself, as a product, is needed first of all for the manufacturer of this product, not for its consumer. It’s non-profitable long-term investment, without any guarantees of return. It is an ideal business model for a business itself. The paradox of this business is that the owners of EB5 projects, as well as the Regional Centers, take the position of the companies that they think produce a unique, exclusive, incredibly valuable and very expensive product, being chased by thousands of buyers around the world, completely forgetting that the only reason why the whole EB5 industry is still breathing only owing to the fact that it is the USA standing behind it, as a very popular brand. Nothing more nor less. The same program would not definitely work in any other country in the world. No one being in right mind will invest significant capital on these terms, unless something more valuable is behind this. 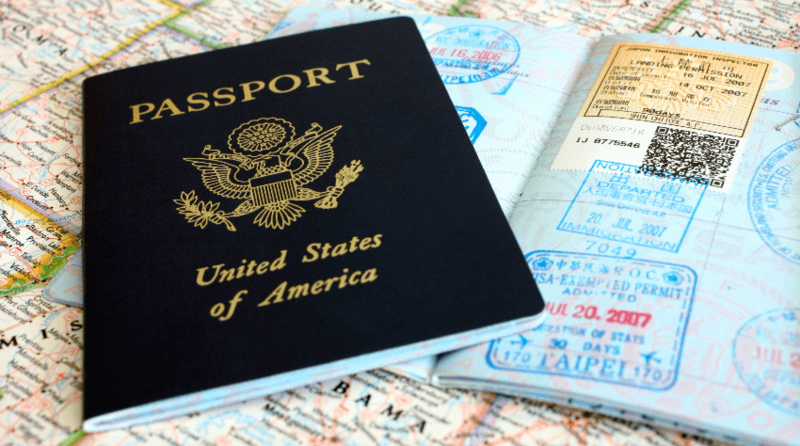 In this case, such a value is the ability to quickly and legally obtain permission for permanent residence in the USA, however, without any guarantees of obtaining the same permanent residence permission and especially citizenship. Accordingly, you need to remove "pink" glasses and find strength and wisdom to look at the situation really. And the reality is that almost all investors under EB5 program can be conditionally divided into two main categories: 1) people who, for political or economic reasons, in fact, are pushed to the brink in their own country and are ready on any terms and for any money, participate in any program, but precisely in that related to the move to the USA; 2) people, who have earned so much that the prospect of losing or at best "freezing" of 500 thousand dollars for them is not a problem. But what is more, it is necessary that the second group of investors would like to go exactly to the USA, and the part of that very second group of investors includes, as a rule, investors from the first group. Any business, as it is known, is primarily expressed in numbers. Any businessman always starts his work with studying the demand. Speaking of EB5 program, if not to take into account the demand for EB5 as a product, say in China, it can be safely stated that there is simply no demand for EB5. The small percentage of investors, who come to the USA under EB5 program from all other countries of the world, without considering China, with the best will in the world, can not meet the need of even a small number of EB5 projects in the USA, not to mention, of course, the industry as a whole. There is another aspect of no small importance that should be taken into account. The founders and managers of the Regional Centers in the USA are not yesterday's students, mostly they are people who were born in the 70s or 80s of the last century. These were the times when the United States were at the peak of their popularity and millions of people tried to get to America in any imaginable and inconceivable ways and to realize their American dream. But now it is a new century, a completely different time, time of globalization and endless open opportunities all over the world. The time when America itself is going through hard times, being in colossal, just cosmic domestic debt, moreover, there are other political and economic factors that are not of benefit for the USA. China, for instance, which is the main and in fact, the only major supplier of customers under EB5 program is not the same as it was 30-40 years ago. China is now a very progressive and modern country and the same investors are actively investing in other countries with more interesting conditions for investment and with availability of real, rather than illusory, guarantees. If to add to this the American domestic constraints for Chinese investors, growing tensions between the countries in the political and economic spheres, the perspective and future of EB5 program becomes, mildly speaking, "questionable". And many experts in EB5, primarily in the USA itself, are confident that the program simply does not have a future. That's why many American companies just are getting out of this business, as long as it can be done without much loss. Of course, we also need to think about future changes in the program, primarily changes that are associated with an increase in investment contribution almost twofold and perhaps more - saying metaphorically – it’s a control shot in already dying body. One of the stumbling blocks between EB5 stakeholders and agencies around the world is the requirement of the latter on advance payments of marketing expenses to agencies. Regional centers do not want to pay in advance, but they offer to pay so-called fees or commissions a posteriori, that is, when an agency brings them a client. And almost always the main argument that stakeholders bring forward in favor of the fact that advance payments are not possible is the risk that a regional center would spend money on marketing without any guarantees of success. I would probably agree with this statement, if not for one BUT! Regional Centers do not want to risk several tens of thousands of dollars when working with agencies, as this is risky and not logical in their opinion, but they want the agency to bring investors, who will invest at least $ 500,000 or even a million dollars, without profit and without any guarantees at all, no refunds, no citizenship or even guarantees of preserving a Green Card ... No comments! Whereby almost all the centers absolutely confidently state that such a model of interaction between agencies and centers is completely justified and not even absurd, because they, Regional Centers, eventually pay very high fees or commissions for each client. When one hears such statements, it seems that the former and the latter work not only on different markets, but - on different planets. Let's forget about China. We all understand that a Chinese model is special in all senses and one not only should orient to the Chinese experience, but it is certainly a wrong way. Here instantly you need to recall the figures. The statistics are our most faithful assistant. Take any other country where investors come from under EB5 program. For example, Russia, which is on the list of a number of EB5 investors not in the last places. Millions of people in Russia play Green Card Lottery every year, hundreds of thousands of Russians invest billions of dollars in business and real estate in the United States. Russians' high interest in the United States is obvious even to the blind. But at the same time, the number of investors under EB5 program is no more than 100 on average per year. For my many years of experience under EB5 I became familiar with hundreds of agencies in different countries and almost none of them is working only under EB5 program. All of them are engaged in something else and EB5 investors are just concomitant, and what is the most important, they are occasional clients. The business can not be built based on this. And many of them, even very solid agencies, frankly shrug off from such "happiness" and do not want to work with this program. The most frequent phrase that can be heard from them is "waste of time and money". Analyzing the work as a whole and paying attention to such "important" behavior of many stakeholders, a phrase from the stories of G.H. Andersen: "... but the king is naked ..." comes up. All this would be very funny, if it were not so sad. The EB5 industry, including in the USA, is a multi-billion dollar business in which hundreds of thousands of people work. And the current behavior of the EB5 business in the USA itself, which is obviously not ready to and does not want to change its behavior, will undoubtedly lead to the fact that the program that is aimed at creating jobs in America, having ended its existence in the nearest future, will on the contrary result to the loss of these jobs and collapse of industry itself, as well as all the structures involved in it. Companies that work in the USA, actively attracting money under EB5 program, are simply obliged to cheer up and accept the fact that the times when everything worked in this “old” format, one can say, by inertia, have already passed and now we need to radically change their tactics and development strategy, changing our thinking, learning to look at the world from different sides, and not just from which they’d want. One should be prepared to pay in advance and include this into the budget, it is necessary to work actively, otherwise ... otherwise collapse is inevitable and unavoidable! Or, as an option, it's still not too late to change the sphere of business. There is another solution to this problem. 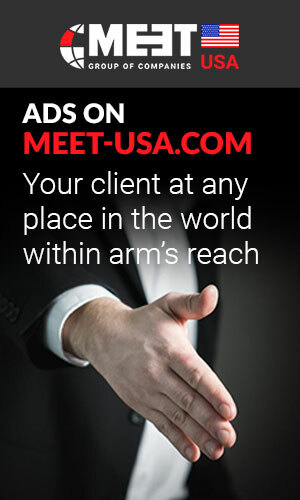 Participation in profile communities, such as the MEET-USA.COM project. It is a community of people from all over the world, who are united by interest in the United States in various fields. This is a community, where competition works for the success of each and every individual, where people encounter the companies and can talk openly and directly with them, carry out discussions and ask questions, communicate and conduct a dialogue directly, and those who are as active as possible, being open and attentive to the needs and aspirations of people, will always be successful. It is necessary to build relationships with customers, and not with oneself. Is EB5 a brand? If you are not a brand - you do not exist!